Fabulous is probably my favourite word. 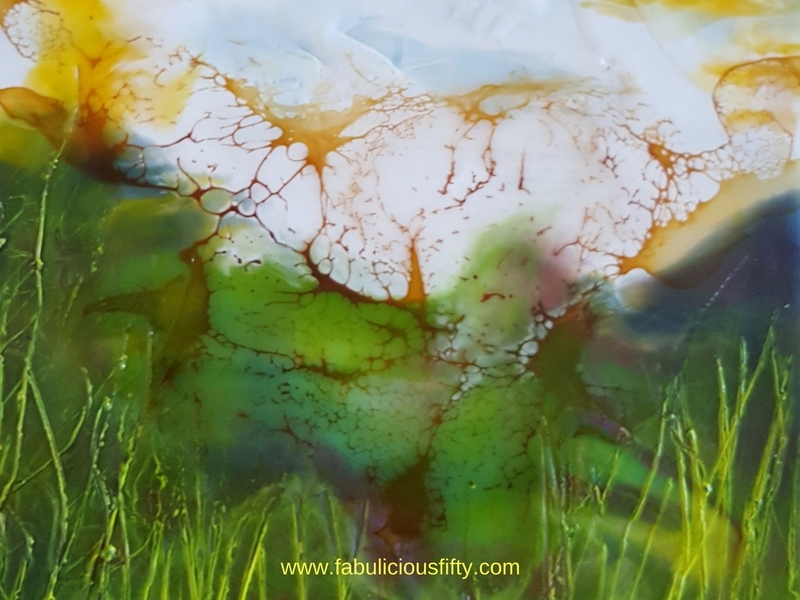 When I was on the cusp of turning 50 I had really mixed feelings – do I duck it and pretend to be 49 for years, or do I embrace it. I decided to go with the latter and to be fabulous at 50 and beyond. Words are very important to me. I am writing a book about how single words have changed my life, and the word Fabulous would have to be included. This time last year I had a breakdown – a hard-earned one, and I can honestly say that embracing the fabulous has been a huge part of my journey. I have been through a lot. A broken marriage, depression and numerous health issues which are still ongoing. The one thing I have learned is that the only person you can be is you. And it is your obligation to be the best you that you can be. My favourite quote is this one from Dr Seuss. When we are authentic we are fabulous. So how do you embrace your Fabulousness. There are 6 principles of fabulousness that I have figured out. Being positive is another of those skills that you have to practice. Like any form of exercise it can be hard and frustrating at first. The first time on the treadmill is hard, the second is harder, you feel awful, sore and sweaty, but ultimately you get it and start to feel fantastic. I only started walking (as a form of exercise) in my late forties. The first walk was so short, but after a short while I was clocking up the miles and I felt better. Positivity is like that. Tap into positivity. Find your self daily affirmations – I am fabulous – and spend time around positive people – both online and off-line. Inspiration is a wonderful thing. We all aspire to be better than we are and tapping into inspiration stretches us and makes us want to put the effort in to be a better version of ourselves. I find inspiration in my daily life, I also find it online by following people who I admire. How many ‘friends’ do you have on Facebook? How many people do you follow? Follow people who you admire, and aspire to be like. Read books, listen to the radio and podcasts, put yourself in a place where you are inspired. But remember what you goal is – to be the best version of yourself. 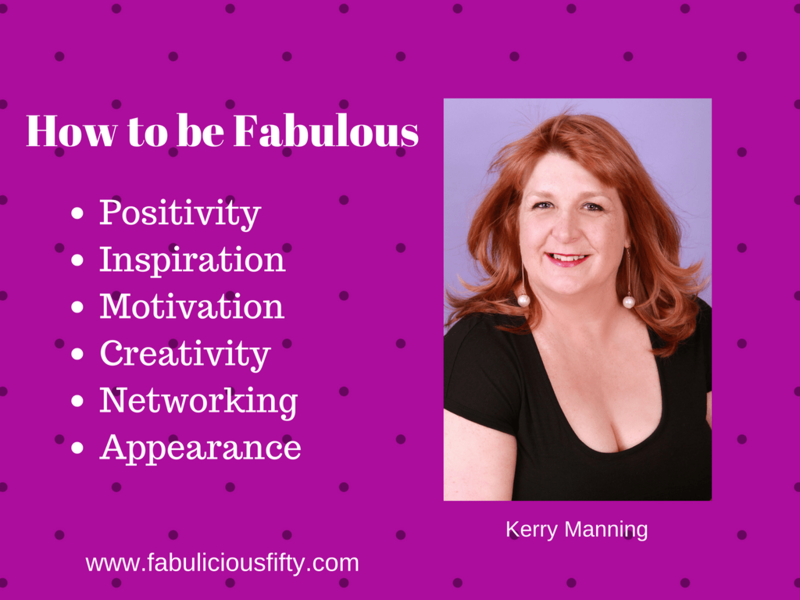 We have a wonderful group on Facebook called Fabulous Woman – I go into the group every day, and sometimes more than once a day and get inspired by ordinary woman who are aspiring to be fabulous. This is another biggie for me. Motivation. Where do you find the motivation to do what you do every day, and then where are you going to find the motivation to do even more? Motivation is your reason for acting on something. Your reason for getting up and changing things. My motivation is simple – I never want to go back to being a quivering scared woman in a marriage that was hurting me. I want to be the best mom I can to my son and I want people to know that everyone deserves to be happy. That is a big vision, I know. We also need to break it down and talk about daily motivations. Perhaps you need some incentives on a daily or monthly basis to do nice things for yourself. That sounds funny just saying it but woman generally put everyone first before they do something for themselves. Your motivation is to be the best you that you can be and I promise you this that everyone around you will benefit from you being fabulous. So set yourself some goals and set up some treats and incentives. I believe that everyone is creative. Some people paint or draw, and others might be creative in the kitchen or through crafts. I have been teaching crafts for many years and I just love the light that comes on when people are being creative. It is simply fuel for the soul. We spend so much of our lives giving to others but we need to refuel. 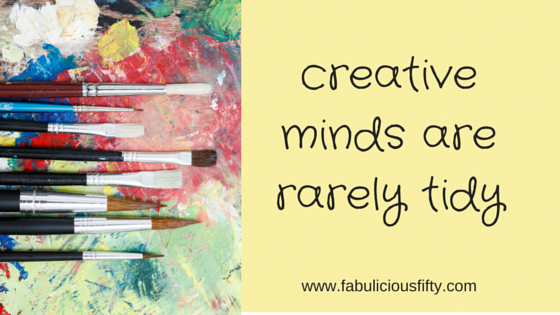 Eating well, drinking water and exercise are all important but being creative is essential. You don’t need a lot of money to get started. Simply start in your daily life. Rearrange furniture or ornaments, write in a journal, tap into your creative well. Add it into your mix and you will become even more fabulous. Networking is an essential pillar of fabulousness for me. When you say networking to some people, a switch goes off. They are not in business, don’t have a business card and are not interested in getting up at 6 in the morning for a meet-up where business cards are swapped. Networking is simple and it has been done since the beginning of time. You know that person that is connected to everyone? You know if you call them they will know someone who can help. She is a supreme networker. We network in our daily lives every day and through this we create our circle – our network. The thing to remember about networking is that it is relational not transactional. Networking is not about making a sale or a deal, it is simply about getting to know more people. I love meeting new people, and simply getting to know them. Conversation is a great way of building relationships. When you meet someone – tell them about you – not about what you do. Tell them what makes your heart sing. Talk to people everywhere and build your network – you will be remembered for who you are that real authentic you. Am I that one on Facebook who wears a crown and always talks about being fabulous, or am I a personal branding specialist? You will probably remember the crown but then at some stage when someone needs a personal branding specialist you might tell them about me. We can use networking to surround ourselves with positive people who will motivate us, inspire us and spark our creativity too. Now, I know that I like pretty party dresses. I feel great if my hair looks great and I do love make-up. But that is just me. For many years I didn’t embrace this side of me. I suffered from depression and cried so much that there was little point in make-up. I felt really ugly and fat because I listened to the criticism around me. One day I made the decision to be fabulous and I need to tell you that I had to fake it for a while. Every day I got up and got dressed. I did my hair and accessorised. I took a make-up lesson and made a commitment to wearing make-up most days. I feel that this is me – at my best, my most fabulous. When I was all ‘dolled-up’ I felt better. I felt like the best version of me possible. I just want to make a point here, that if you feel the best that you can be wearing jeans and a check shirt, that is ok too. What you want to tap into is dressing as you, to feel like the best of version of you. It is a funny thing because when you tap into your fabulousness, people notice what you are wearing less, they notice how you feel and the energy you are putting out. Facebook is now the largest ‘country’ in the world. Most of us are on Facebook and many of us are on other social media sites such as Pinterest, Twitter and Instagram. It is really important that when you are showing up – as the best you that you can be, you do this online as well as offline. These days the first connection with many people is not in person but online. Grow your network and show your positivity online. This is an extract from a talk I recently presented at the Festive Ladies Afternoon Tea in Mayo. It doesn’t cost anything to be kind. November 13 is World Kindness Day. I first came across the idea of random acts of kindness when I read Pay it Forward by Catherine Ryan Hyde. Although this is a novel, the concept of simply doing something kind for someone else with no expectation of a return made a huge impact. The book, which was subsequently made into a movie starring Kevin Spacey told the simple story of a social studies teacher who set a project and a young man with a bright idea. The task was to Think of an idea for world change, and put it into action. The 12-year-old came up with the idea of doing something kind for three people. Simple things really, but things that made a difference. Instead of ‘paying him back’ he asked them to pay it forward but doing a favour for 3 people themselves. This resulted in a whole lot of kindness. Random acts of kindness can take any sort of form. I am blessed to have been the recipient so many times. Just recently I received a slip from the postman to say that I had missed a delivery. I wasn’t expecting anything. The parcel arrived on a week when I really needed a lift and I was delighted to find, some yummy sweets, a magazine and some sparkly bath salts along with a card from a dear friend. When browsing art books (a bit of an obsession with me), I came across the concept of leaving a piece of art or a message in a public place for someone to pick up. Imagine coming across something really beautiful and knowing that a random act of kindness put it there, just for you. 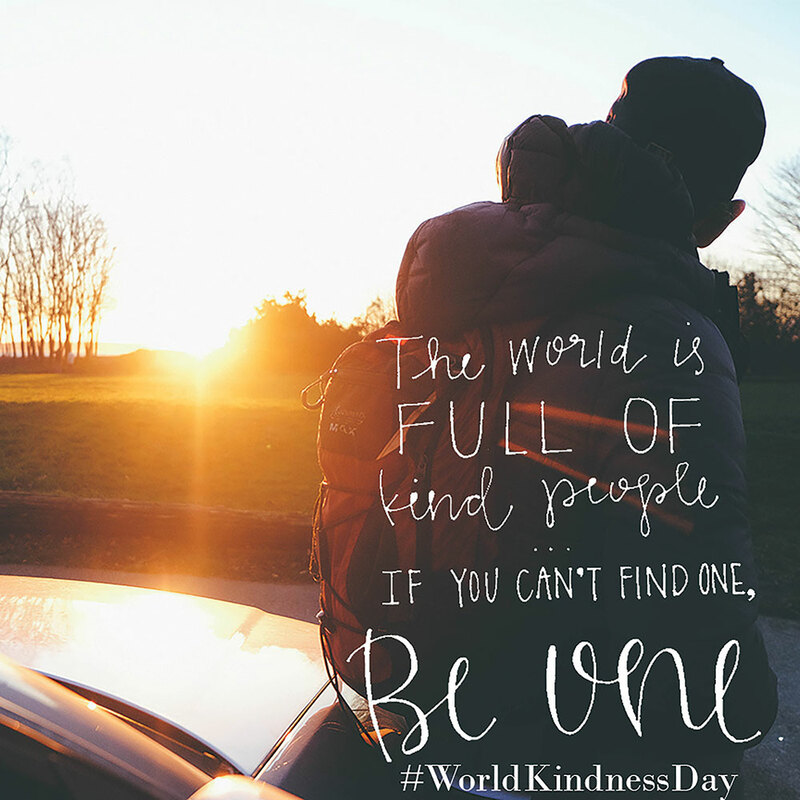 My challenge to you, and to myself is to take a minute or two to be kind to a friend or stranger, especially on World Kindness Day – 13 November 2015. It doesn’t cost much and can make a huge difference in someones day. Take a visit to this awesome website the home of the Random Acts of Kindness Foundation. It is truly inspirational and the source of the fab graphic on this post.